Behold! The Tabernacle of God Is with Men! Think back to your happiest memory from childhood. For some of you, it is an exceptionally happy Christmas or birthday celebration you enjoyed as a child. For others it is a vacation you took with your family or playing with one of your childhood friends. But we can all look back to at least one or two happy memories because God has been good to all of us. For me, it was the last day of school as a 10-year old because that meant two absolutely wonderful things I had been waiting for so long: 1) Freedom from schoolwork for the next 3 months, which is an almost infinite amount of time to someone who has only lived 10 years and remembers only 5 of them. 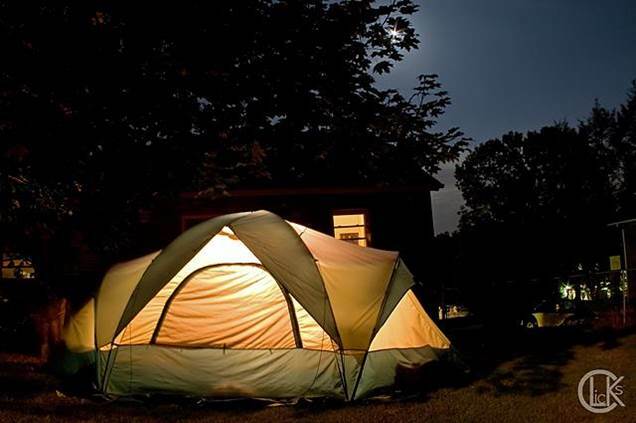 2) It meant sleeping in the tent out in our backyard with my cousin where we’d stay up late at night telling each other scary stories and stupid 10-year old jokes. For a 10-year old boy, it doesn’t get any better than that. I felt so happy and free! That brings me to our topic for today, because the topic we’re about to study is the happiest in all of Scripture, one to which I want us to bring all of our childlike faith and hopes. 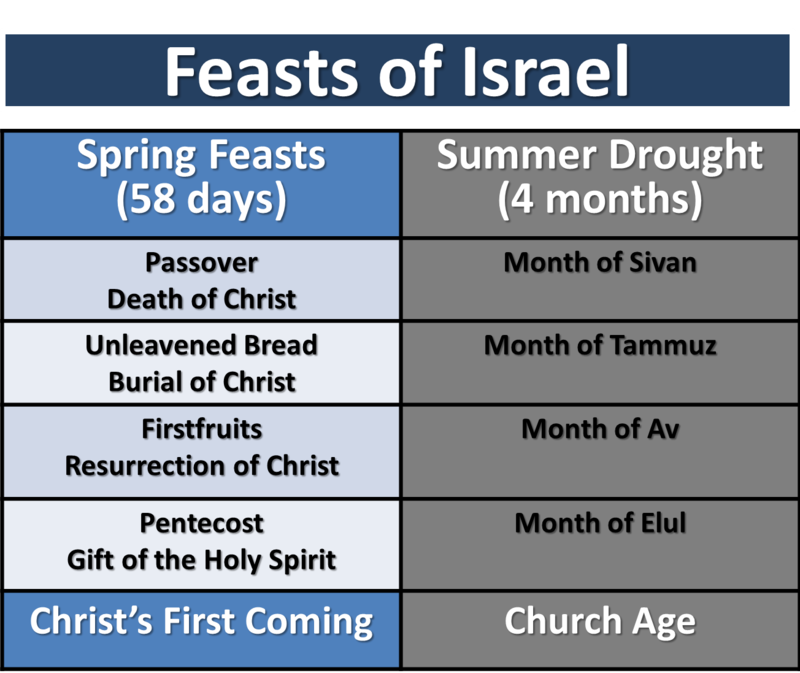 What we’ve been studying the last several weeks are the feasts of Israel—four in the spring and three in the fall. The four in the spring picture what Jesus did for us at His first coming by His death, burial, resurrection, and gift of the Holy Spirit. We also learned that between the four feasts in the spring and the three in the fall, there is a long dry spell in the summer picturing the last two thousand years during which God has temporarily set aside the nation of Israel and is preparing a beautiful Gentile Bride for His Son, One made up of vast multitude of people from every tribe, tongue, and nation under heaven who love Jesus Christ and have trusted Him as their Savior. What is striking about it is how simply it’s celebrated. For just as my cousin and I celebrated our freedom from school by moving out of the house and into a tent, that’s how the people of Israel celebrate this feast and the Kingdom of God to come. As we study it, there are three points I want us to keep in mind—the first is God’s goodness, the second is the life of Christ, and the third is the glory of God’s kingdom to come. 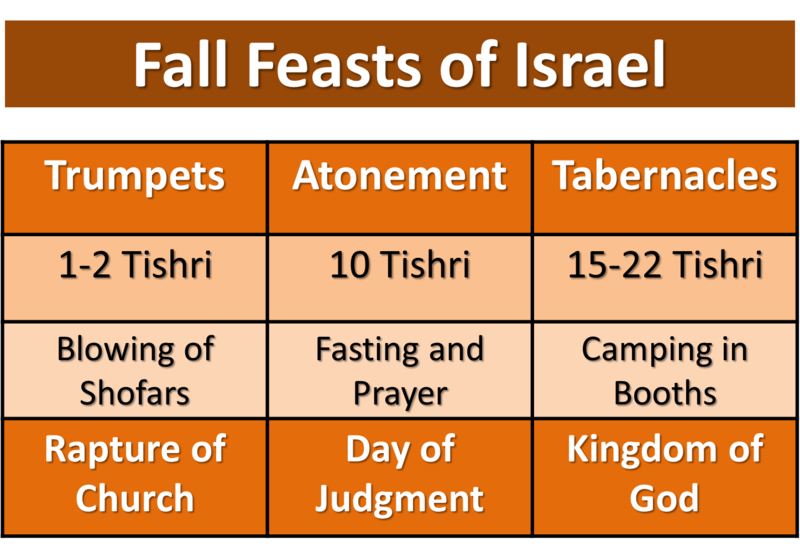 The word for the feast in Hebrew is Sukkot meaning “Tabernacles” or “Booths,” and like most of the feasts before it, it takes place during one of the harvests in Israel—this time the fruit harvest in the fall. So it’s a very happy time. After all, who doesn’t like fresh fruit straight from the tree or vine! That’s how God intended it. He intended it to be a time of great joy. In fact, twice in Deuteronomy He commands His people to celebrate it with great joy. He says, “For the Lord your God will bless you in all your harvest and in all the work of your hands, and your joy will be complete.” By the way, did you know that the first Thanksgiving American in 1621 was actually a celebration of the Feast of Tabernacles? The pilgrims took the Old Testament very seriously and used this feast as the model for their Thanksgiving celebrations to God. But it isn’t just a time of enjoying the harvest. This feast also has a very important spiritual purpose. That’s why all the men of Israel were required to travel down to Jerusalem every year to celebrate it before the Lord in the Temple. 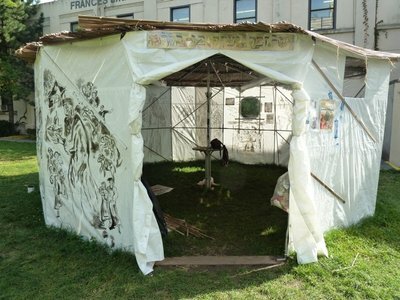 Sukkot is God’s reminder of how faithful He was to their forefathers for forty years while they lived in tents in the desert and that the same God who cared for their ancestors then is the God who continues to love them and provide for them today. The rabbis have added several other traditions over the years. 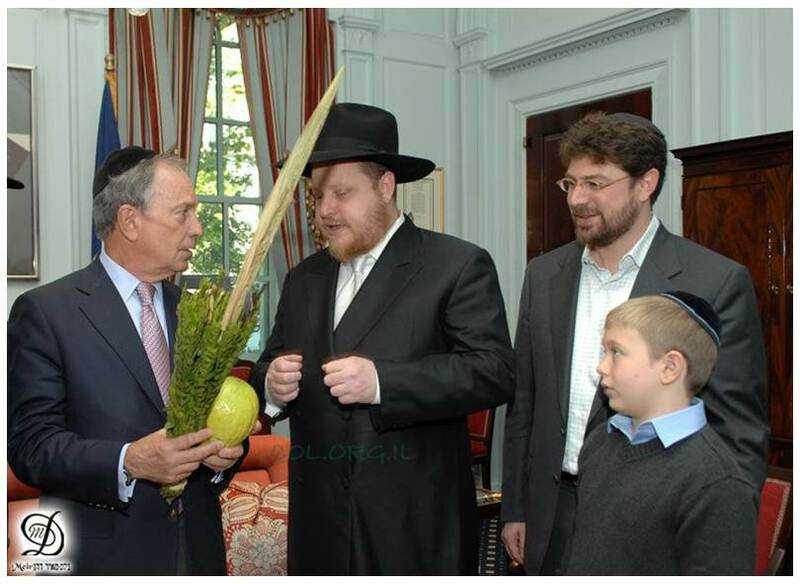 For example, the roof of the sukkah (that’s the singular of “sukkot”) must be strong enough to withstand a normal wind; its roof is to be made of branches and foliage, providing shade by day and a view of the stars at night, so God’s people can marvel at His majesty as our Creator; and it also has to be large enough for a table and chairs, so a family can eat under it because that’s one of the mitzvahs or commandments of the Law—to eat their meals in the sukkah. Some of the traditional foods they eat are stuffed cabbage rolls, apple-glazed barbecue chicken, and fruit turnovers. The host at the meal also invites imaginary guests for dinner each night. Abraham is invited the first night, Isaac the second night, then Jacob, Joseph, Moses, Aaron, and David the following nights. Finally, one more tradition before we move on—the waving of the lulav, which is a bouquet made of palm, myrtle, and willow branches bound together and waved in six directions (up and down, left and right, forward and backward) symbolizing the all-encompassing presence of God. As they do this, they also hold an etrog, a large lemon-like fruit, in their left hand while they recite this blessing: “Blessed are You, Lord our God, King of the Universe, for keeping us alive and bringing us to this time.” Those are just a few of the traditions associated with this day. Now onto something far more important and interesting, and that’s how this feast was fulfilled in the life of Christ. So Jesus attended the festival, just as the Law commanded, but He did so secretly at first so He wouldn’t be arrested before His time had come. While He was there, He also took part in the two great ceremonies held during the feast. 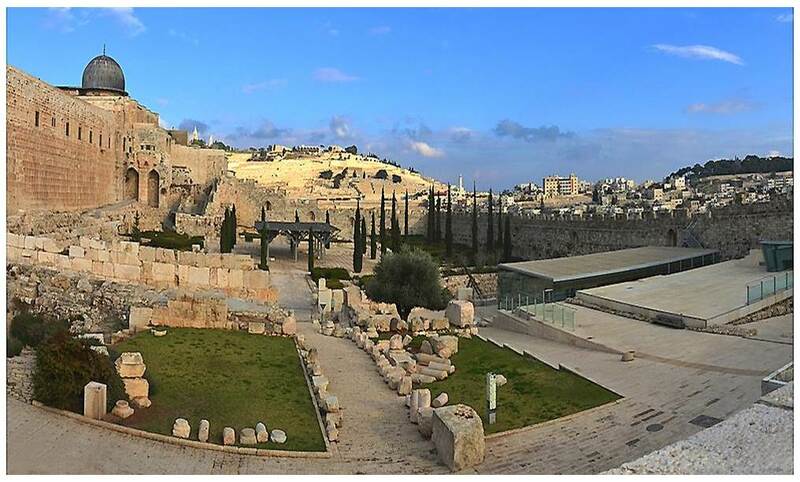 The first was the water ceremony in which the high priest took a golden pitcher and drew water from the Pool of Siloam and then carried it back through the water gate to the altar where he poured it into a silver basin. While he did this, he would recite the words of the song we sang earlier: “Behold, God is my salvation. I will trust and will not be afraid, for the Lord is my strength and my song; He also has become my salvation.” The word for salvation here is Yeshua (Jesus), for that’s what the name of Jesus means. As the angel said to Joseph, “You shall call His name Jesus, for He shall save His people from their sins.” And though He came to the feast in secret, it was at this point, on the last and greatest day of the feast, that Jesus made it His own. Standing to His feet, He cried out, “If anyone is thirsty, let him come to me and drink. For whoever believes in Me, out of his innermost being shall flow rivers of living water,” referring to the Holy Spirit that He would soon give to everyone who believes in Him. But it’s the third fact that I find most interesting. Most of you are probably aware that though we celebrate the birth of Jesus on December 25th, we really don’t know the exact day when Jesus was born. In fact, what most Bible scholars agree about is that it probably wasn’t in December because the shepherds wouldn’t have been out in the fields tending their sheep in the winter months. So when was Jesus born? Is there any way to narrow it down and get closer to the exact day? Well, it seems there is. 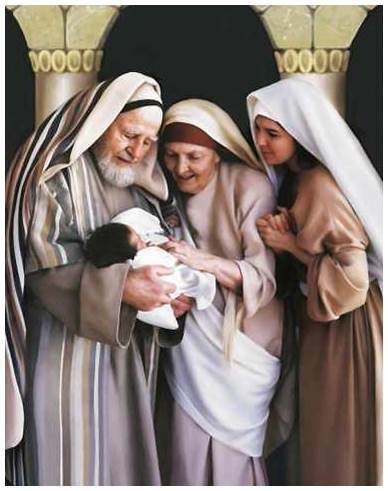 One thing the Bible is clear about is the birth of John the Baptist who was the son of Zechariah the priest and Elizabeth, the cousin of Mary, which means John was Jesus’ cousin! Furthermore, based on 1 Chronicles 24 and other Scriptures, we know when John was born. You’ll remember his mother was barren. But one day while his father Zechariah was serving in the Temple—1 Chronicles 24 says that was 10 weeks after the Passover during the Jewish month of Sivan—suddenly the Angel Gabriel appeared to him and told him that Elizabeth would bear him a son in her old age. So, assuming that Zechariah returned home after his turn in the Temple, John would have been conceived the next week, which means, if you count forward 9 months, that John was born the following Passover. That’s significant because who do the Jews leave the door open for at the Passover meal? Elijah, believing that he will come and prepare the way for Messiah! But then Jesus said it was John the Baptist who came in the spirit and power of Elijah to prepare the way for Him! So it turns out that just as the Jews expected, John arrived right on time to fill the chair left vacant for him at Passover. And finally, one more fascinating fact before we move on! If you count forty weeks backwards from the Feast of Tabernacles (forty weeks is the length of a normal pregnancy), do you know what you discover about the conception of Jesus? 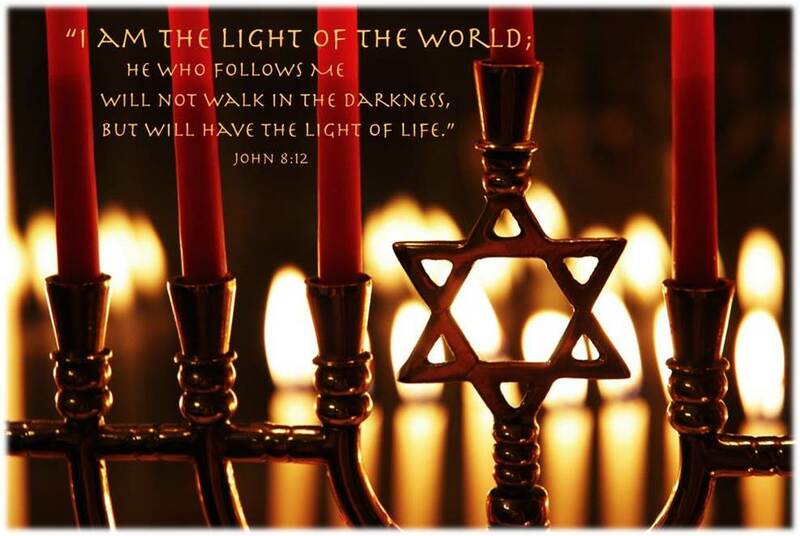 You find that He, the Light of the World, was conceived on Hanukkah, the festival of lights, in the month of December, and born during “the show of lights” in the fall on the Feast of Tabernacles. But then that’s what we’ve been learning about the feasts from the very beginning—that the feasts aren’t about Israel; they’re about Jesus the Messiah of Israel and the world, picturing who He is and what He’s done or will do for us His people. So let me ask you before I continue. Are you experiencing the joy that’s pictured in this feast? And are there rivers of living water flowing out of your innermost being? Because that’s what Jesus promised us! To experience it, two things have to be true of you: 1) You have to know Jesus in a personal way, which you can do this very moment by turning from your sins and trusting in Him for forgiveness; and 2) You have to obey Him! John 14:22 puts it like this: “Then Judas (not Judas Iscariot) said, ‘But Lord, why do you intend to show yourself to us and not to the world?’ Jesus replied, ‘Anyone who loves me will obey my teaching. My Father will love them, and we will come to them and make our home with them.” Or to put it in the terms of this feast, He will come and tabernacle with you in the sukkah of your heart which, having experienced it myself, I can tell you there is no greater joy in life than that. David tasted it and wrote, “In Thy presence is fullness of joy and at that right hand are pleasures forevermore.” So don’t miss it! Whatever is keeping you from experiencing the joy of Christ’s presence, lay it aside—because it isn’t worth it—and ask Jesus to fill you with the joy of His Spirit. Now for the greatest joy of all and the only real hope for this world, and that’s the Kingdom of God which is coming to this earth very soon. That’s what’s ultimately pictured in the Feast of Tabernacles. 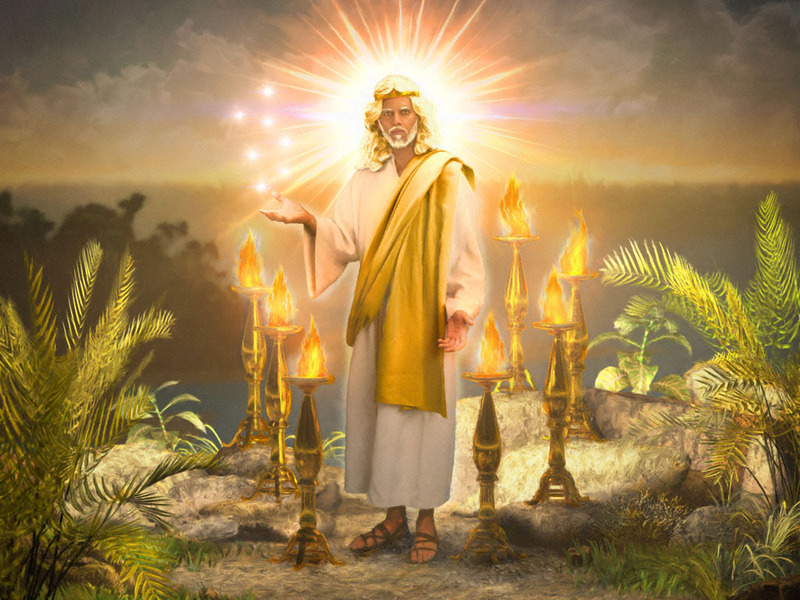 The prophet Ezekiel promises: “Then they shall dwell in the land that I have given to Jacob My servant, where your fathers dwelt; and they shall dwell there, they, their children, and their children’s children, forever; and My servant David shall be their prince forever. Moreover I will make a covenant of peace with them, and it shall be an everlasting covenant with them; I will establish them and multiply them, and I will set My sanctuary in their midst forevermore. My tabernacle also shall be with them; indeed I will be their God, and they shall be My people.” So, in keeping with His promise, the Kingdom of God will come to earth very soon with its capital in Jerusalem, Jesus the Son of David ruling from its throne, and the Lord Himself “tabernacle-ing” among us. What a day that’s going to be! In fact, Zechariah says at that time the whole world will begin to flock to Jerusalem every year to celebrate the Feast of Tabernacles with the Lord in a literal way. By the way, did you know that’s happening even as I speak? 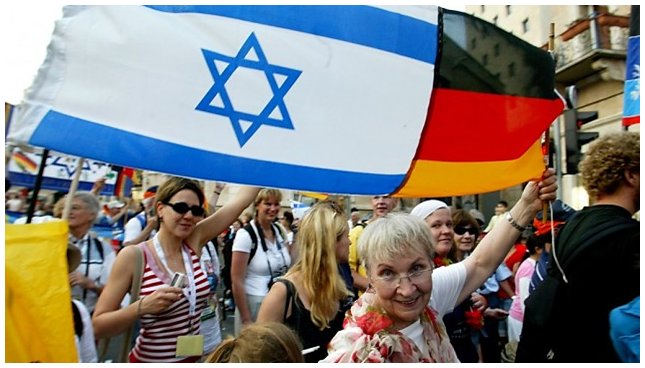 Since 1980, Gentiles from all over the world have made up half the multitude that travels to Jerusalem every fall to celebrate this feast. 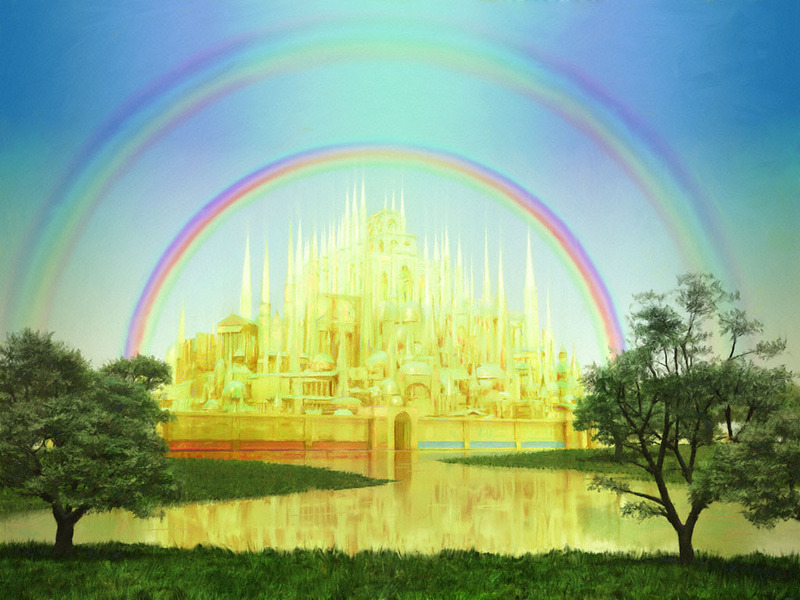 That great celebration begins this Thursday, September 19th, and is the first time since Solomon’s kingdom that people from all over the world have come together with great joy to celebrate the Feast of Tabernacles in the Holy City. So let me ask you before I bring this message to a close. What is your greatest source of joy in life? Are you finding it in your awards, your achievements, and your accomplishments; your plans, your pleasures, and your pastimes; your finances, your fame, and your friendships? There’s nothing wrong with those things, of course, except that you can’t count on them when the day is done! Dreams are broken. 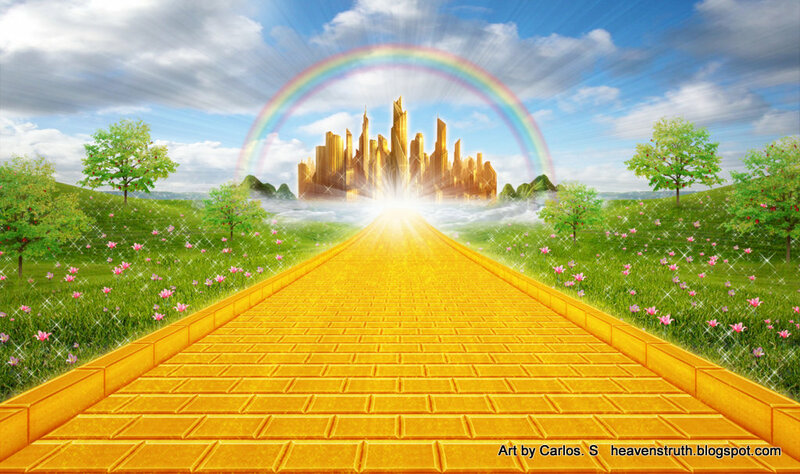 The glitter of earthly awards soon fades away. Friends and family will die and leave you. So where will you find a joy that both pleases Christ and never lets you down? 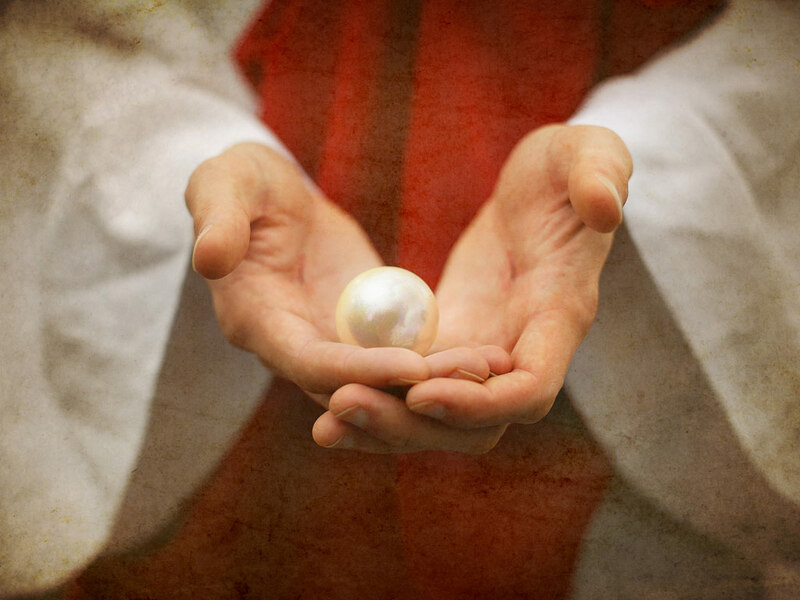 Jesus said the only thing that’s worth investing in is His kingdom, the pearl of great price, which a man would be wise if he sold everything he has in order to possess it. But how many of us are actually hungering for that and giving all that we have in anticipation of it! I close with the final page from The Last Battle as Lucy, Peter, Susan, Edmund, and all our favorite characters from Narnia stand at the threshold of Aslan’s country. 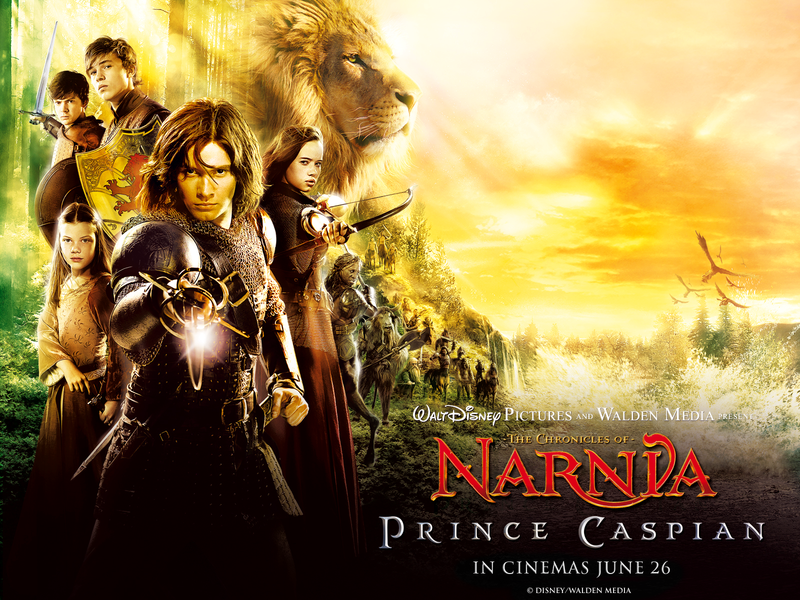 They are mourning the loss of Narnia, the beautiful world the Lion created and which they’ve had to leave behind. But wait! The longer they gaze at this new land, the more it resembles the one they left behind, but without any of the evil or heartache. Sources used in this sermon series: “The Seven Feasts of Israel” by Zola Levitt, “Celebrating Jesus in the Biblical Feasts” by Richard Booker, “Unlocking the Secrets of the Feasts” by Michael Norten, “Life Principles for Worship from the Feasts of Israel” by Rick Shepherd, and “The Life and Times of Jesus the Messiah” by Alfred Edersheim.